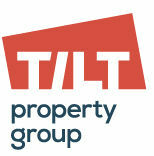 Tilt uses the practical approach to property management. We are not like any other property management company — we are avid investors too. Tilt was created because I never found a service that was up to my standards. With over 100 properties in my own portfolio, I wanted things done right and at a fair price. Tilt’s model was forged from practical, hands-on experience and its resulting lessons. We learned, sometimes the hard way, how to quickly adapt to market changes, tenant needs and a host of unforeseen problems that arise while being a landlord. Use our expertise–we’re here to help. From buying and renovating to managing and mentoring, we want to be your one-stop shop for growing an enviable income property portfolio.